Business Users – We Do More Than Just Supply Printer Cartridges! Did you know that Cartridge Green does so much more than just provide printer cartridges? Here at Cartridge Green we are constantly asking ourselves what we can do to improve our service to business customers. Did you know we can repair and supply printers, photocopiers and multifunction printers? 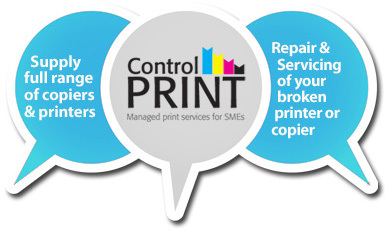 Did you know our managed print service, Control Print, was created specifically for SMEs, meaning you only pay for the pages you print? Whatever we do, and whatever aspect of our service you avail of, you can always count on our reputation for delivering a high quality product or service in an expert and efficient manner! We can repair your printer – so you can smiles again! We supply everything from basic inkjet printers to large photocopiers. You can contact us for advice and service and we don’t disappear after the sale. We are happy to have a chat with you and recommend a machine that will fit your usage and your budget. Business printing costs out of control…..then why are you still buying printer cartridges? Why is your business still buying printer cartridges? Our managed print service means you only pay for the pages you print. Set up is easy, so what are you waiting for? ‹ 7500 Subscribers Now Enjoying Unlimited Free Ink!